Seven years. That’s how long the idea has been percolating to open a cafe in an old post office in Homewood. On Friday, November 18, Everyday Cafe will finally open at 532 N. Homewood Ave. thanks to a partnership between Operation Better Block and the Bible Center Church located just down the street. 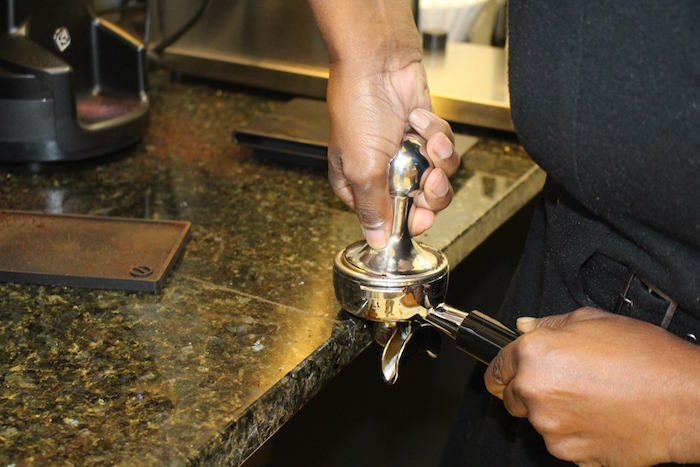 The 2,000-square-foot coffee shop will offer a full range of hand-crafted coffee and tea drinks as well as light bites such as soups, salads and sandwiches. It will also be the first cashless coffee shop in Pittsburgh. Customers must pay using a credit or ATM card or online payment system like Apple pay. “Our goal is to be the most diverse coffee house in Pittsburgh,” John Wallace. Wallace is excited about bringing a healthy eating option to Homewood and a “third space” where neighbors can gather. Profits from the coffee shop will support after-school programs run by the church and other nonprofit employment and educational programs. Located close to the busway and near the border of Homewood and Point Breeze, the coffee shop is imagined as a place where community members can gather and students can use the free wifi. Everyday will be open—every day—from 7 a.m. to 3 p.m. with occasional later hours for special events and community meetings.